The movie Harry Potter 6: trailer, clips, photos, soundtrack, news and much more! I Know What You Did Malfoy! 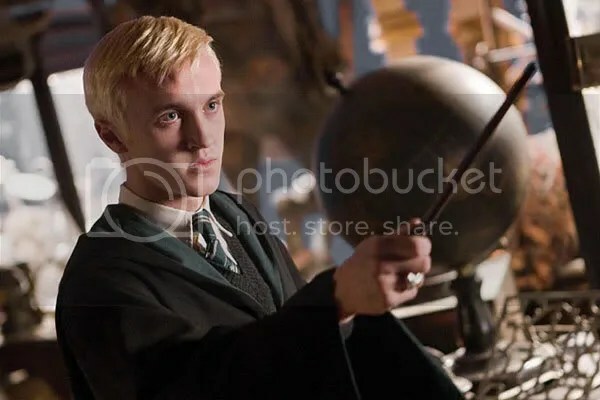 Harry Potter (Daniel Radcliffe) confronts Draco Malfoy (Tom Felton). I wish I had a broom for flying like they do, must be a lot of fun! This looks like a really crazy witch! The movie Harry Potter 6, after a very long wait, will hit theaters on July 15, 2009. Quite a few love stories ahead it seems in the movie Harry Potter 6! 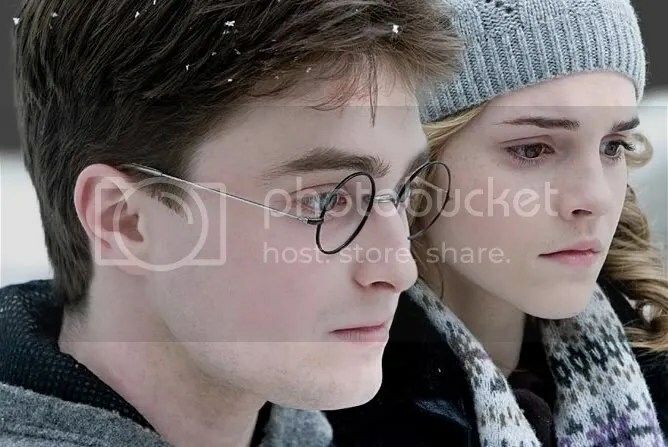 Dumbledore shows Harry his most important memory. Nice way to share one’s experience! It’s like being there! Lots of secrets are going to be revealed in the movie Harry Potter 6! The old Dumbledore is a bit lazy: always relying on the young Harry Potter to save his beard! Harry Potter and the Half Blood Prince will be released on July 17, 2009. July 2009 seems so far: I’d be glad to see Harry Potter 6 being released earlier! 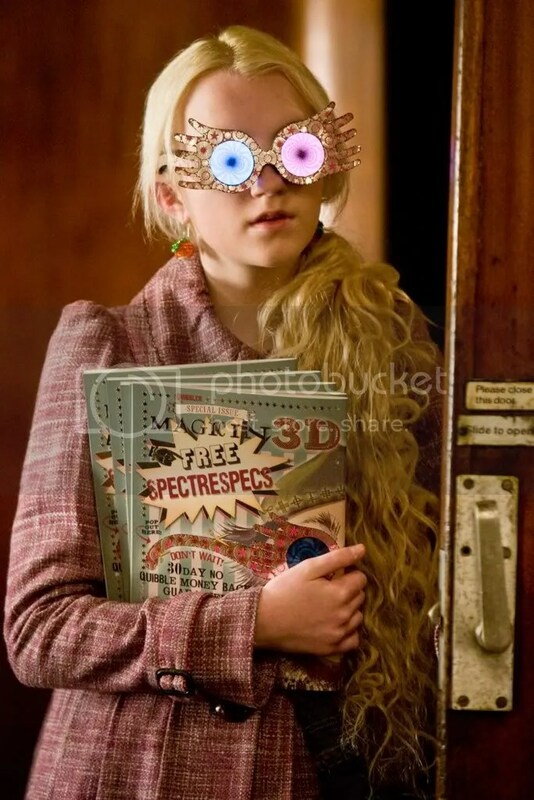 We will try to list the other sneak peeks of the Half Blood Prince shown on ABC as soon as they’re available online. Why does Warner Bros. need to release a new trailer of Harry Potter and the half Blood prince? Well, we don’t spit on Harry Potter 6 trailers with new footage but what everybody wants is the full movie in theaters now! it does cause you powerful infatuation or obsession! At least the trailers of Harry Potter and the Half Blood Prince get better and better…. But for disdainfuly postponing HBP by a year Warner Bros. is taking the risk of a heavy backlash in case the film would leak online… Most torrent networks would be thrilled to share Harry Potter 6! Still wondering why WB is releasing this movie only next year… Don’t they understand that we are all craving for Harry Potter and The Half Blood Prince? This new trailer of harry Potter 6 just fuel my impatience! In a move of not-so-surprising greed Warner Bros has decided to postpone the release of Harry Potter 6, aka Harry Potter and the Half Blood Prince, from November 2008 to July 2009! To know the future, return to the past! A really dark time is looming ahead for Harry Potter! So happy to find our friends from Hogwarts on screen again! I would stand in line right away to buy tickets for Harry Potter and The Half Blood prince if it was possible! Thanks to USA TODAY we may have a first look at the trailer of Harry Potter and the Half Blood Prince which should be released this Tuesday. Dumbledore in the heat of the battle! 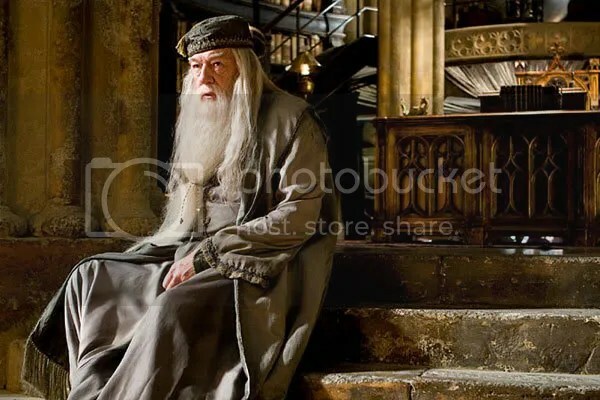 What is Dumbledore thinking about? The trailer for Harry Potter and the Half-Blood Prince is going to be released online this Tuesday (we will try our best to find it). And it will be screened in theaters in front of The Mummy: Tomb of the Dragon Emperor starting this Friday. The trailer of Harry Potter And The Half Blood Prince has been announced to be aired on Tuesday (July 29, 2008) on AOL site in the USA… If you are abroad, don’t worry, the odds are high to see the trailer of Harry potter 6 freely popping up on the web just a few minutes later and quite probably on Teaser-Trailer.com too! Let’s really hope that Warner Bros will not deceive the fans again. Because some of them are really pissed off and WB may suffer from the backlash if they show the same disdainful approach as for the 15-second teaser previously released. Thumbs up for Laura: she is a smart teen, isn’t she? Her parents must be proud of her! The Warner Bros company is now under scrutiny of Hogwarts’ fandom! The teaser of Harry Potter 6, aka Harry Potter and the Half Blood prince has surfaced on the web. Dumbledore: Once again I must ask you to do the impossible too much of you Harry. For the full length Harry Potter 6 trailer we will have to wait for the Mummy 3: according to the rumor it should be shown in front of this movie starring Brendan Fraser. 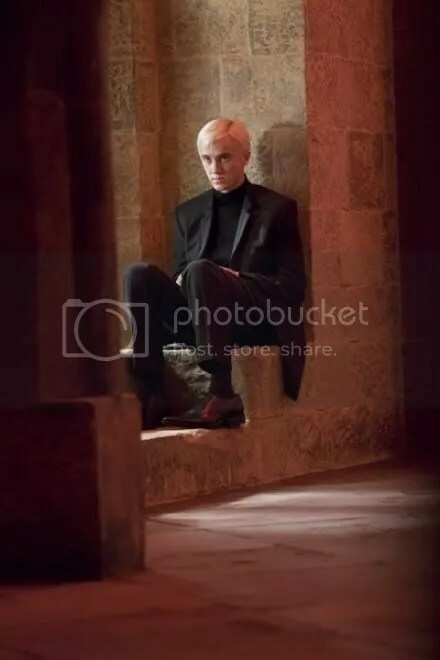 Really impatient to see a real Harry Potter Half Blood Prince trailer because this teaser is just fueling my impatience! Anonymous visitor: The trailer [of Harry Potter And The Half Blood Prince] comes out before the movie get smart. I know for a fact because i have a friend who brought who works at a movie theater and showed it to me, the movie looks so good. I’m inclined to believe this visitor because it would confirm a rumor which has been on the web. So maybe time to pre-reserve your ticket for Get Smart if you’re a fan of Harry Potter. 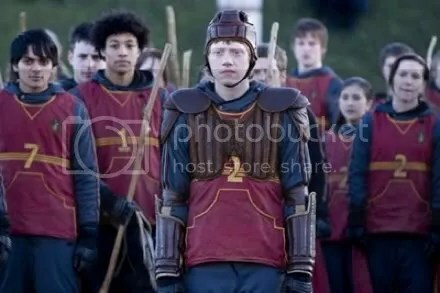 Update as of June 21: Seems Warner Bros. change their mind: according to the first reports the trailer of Harry Potter 6 The Half Blood Prince has not been shown in front of Get Smart…. Update as of July 11: IMAX Corporation has confirmed that there will be a SHORT, 15 second trailer for Harry Potter and the Half Blood Prince prior to The Dark Knight !!! We hope that in 2 weeks a full length trailer of Harry Potter and the Half Blood Prince will be shown in front of the Mummy 3. WB teased us a lot so far but this trailer looks so promising! I can barely wait for the release of Harry Potter 6 by now! 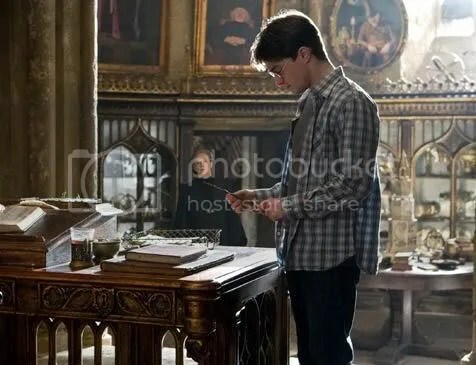 New pictures of Harry Potter 6, aka Harry Potter and the Half Blood Prince, have surfaced on the web. Taken down at the request of Warner bros.
Harry Potter is a young man by now: he’s almost a real sorcerer, not anymore a kid. It promises much more action in this new Harry Potter movie.